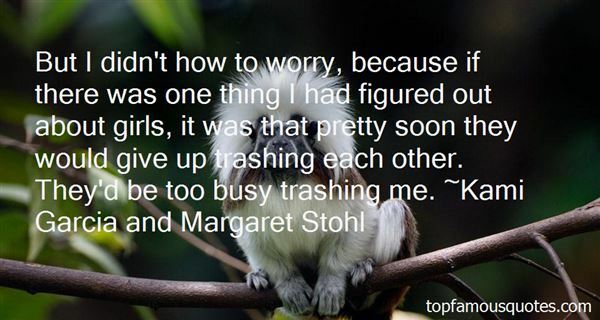 Reading and share top 11 Kami Garcia And Margaret Stohl famous quotes and sayings. 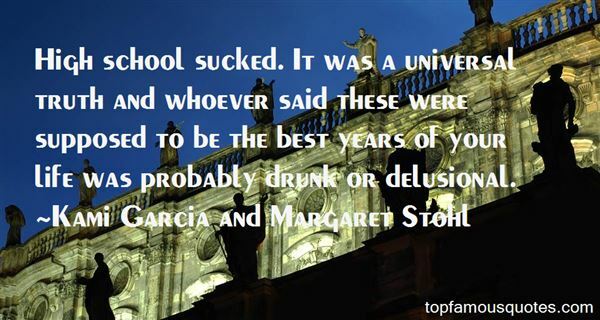 Browse top 11 most favorite famous quotes and sayings by Kami Garcia And Margaret Stohl. I lied. I do that, you know, when it suits me. I would have thought you'd realized that by now." What Did Kami Garcia And Margaret Stohl Talk About?